1. An augmented reality-induced journey into the cosmos. 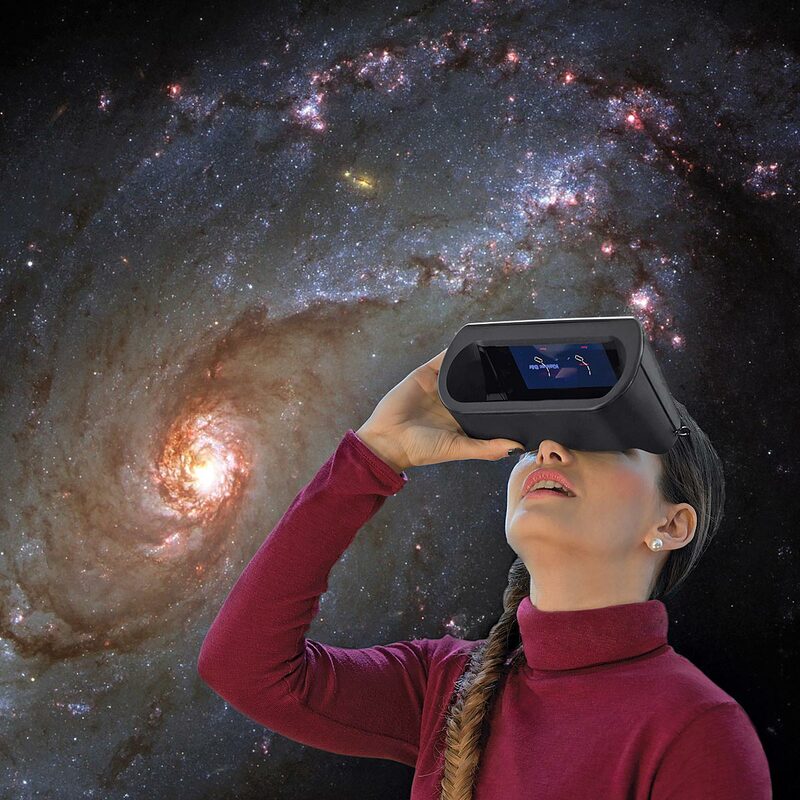 Bring the planetarium right into the living room thanks to this augmented reality viewer and audio guide. 2. Not your average “smart” watch. 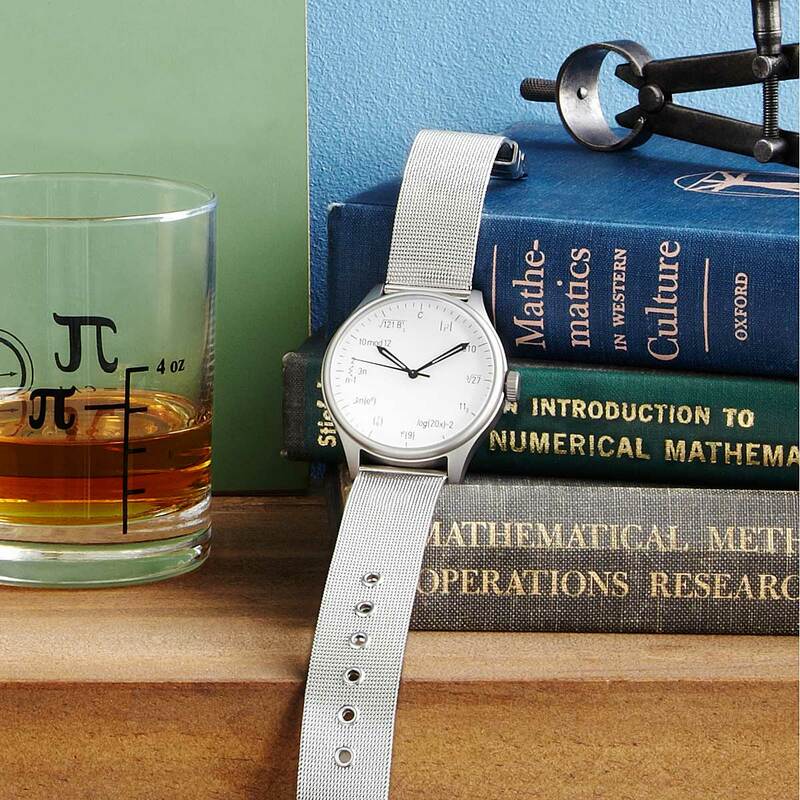 Regular numbers are replaced with equivalent notations in this genius timepiece. 3. Prehistoric friends that help preserve precious wine. 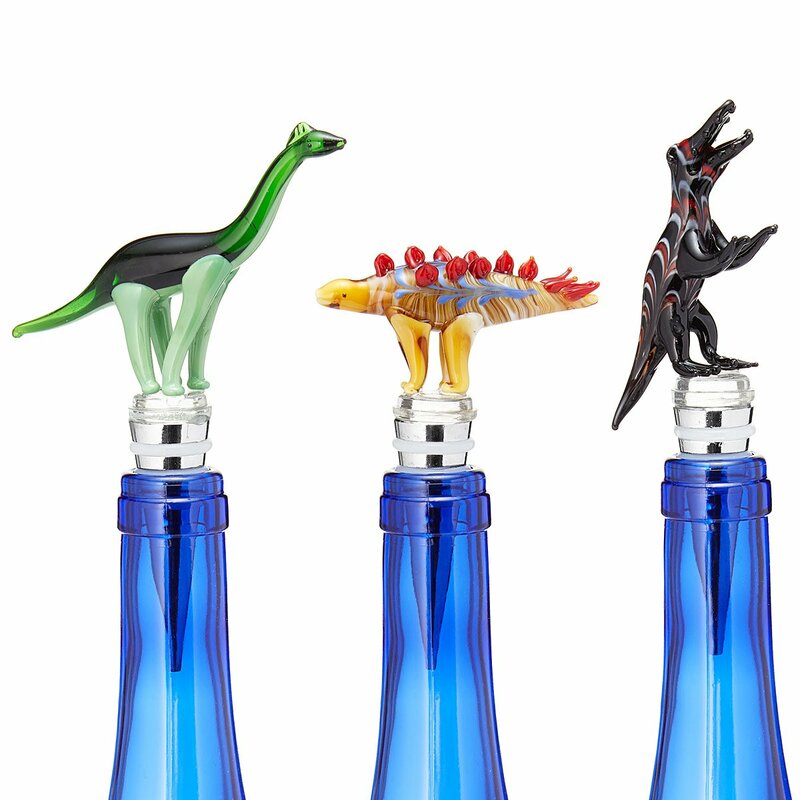 Handcrafted using open flame torches, these wine-saving dinos are nothing sort of epic. 4. 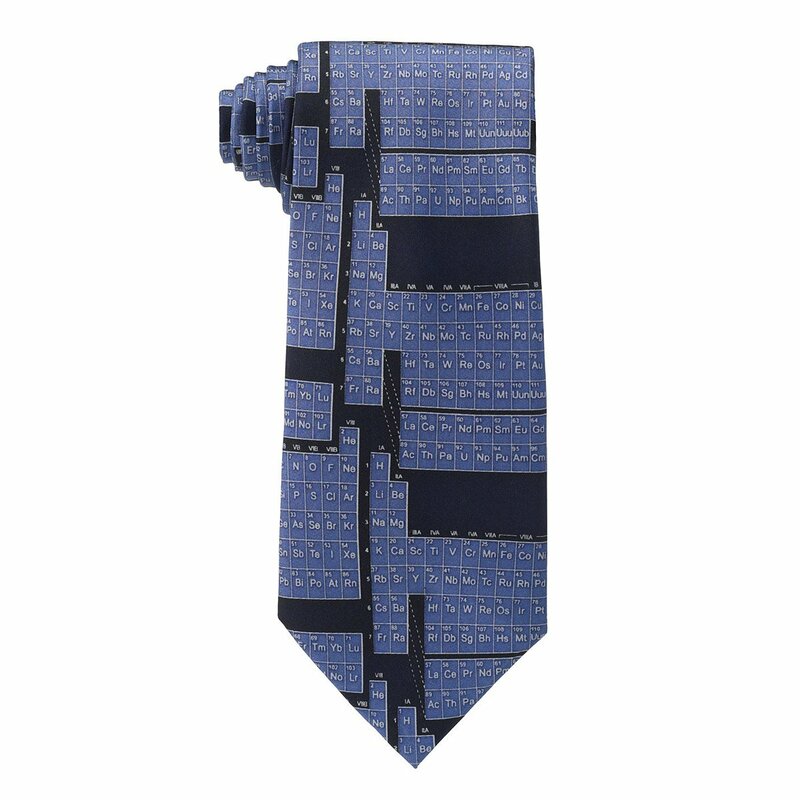 A tie that makes sure science geeks are totally in their element. Black tie meets the blackboard thanks to this periodic table design. 5. 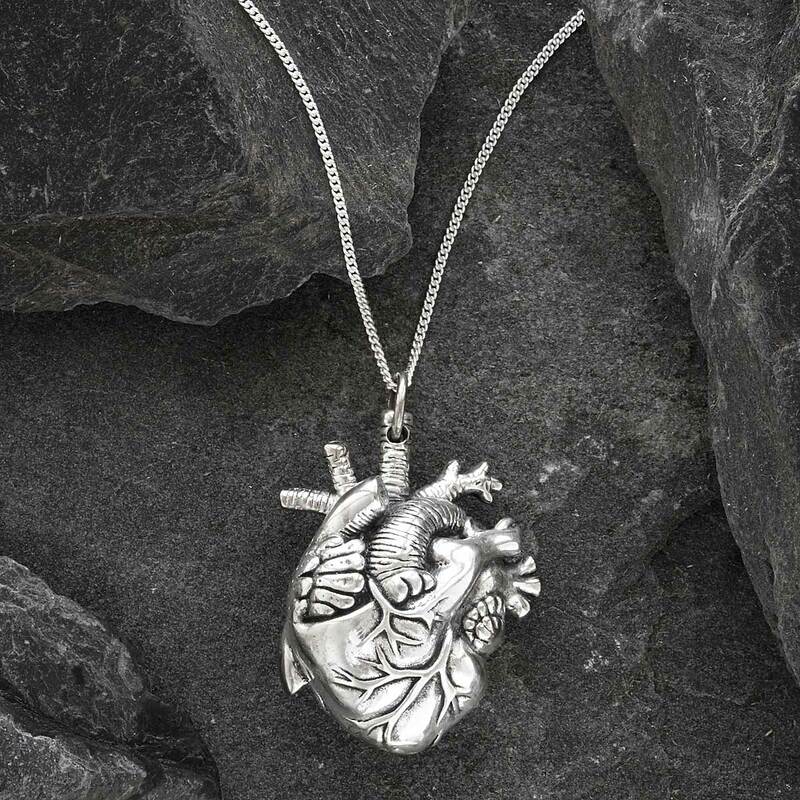 A more literal symbol of love. 6. 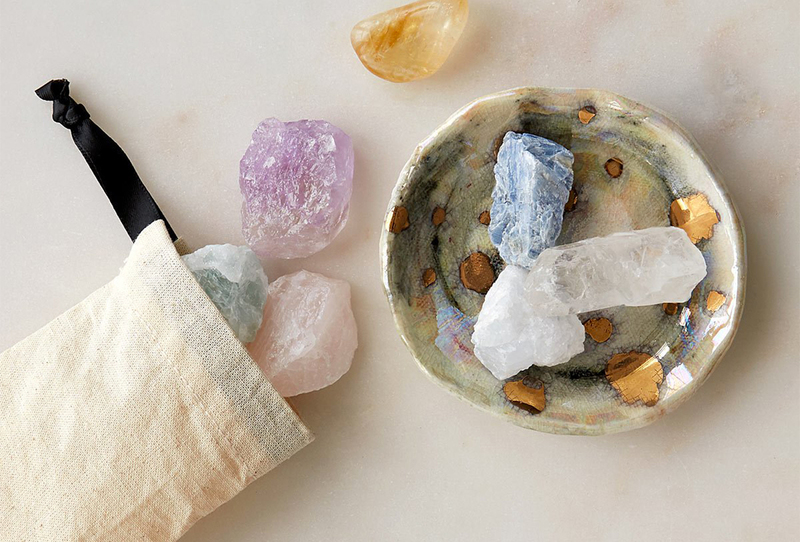 A self-care solar system. 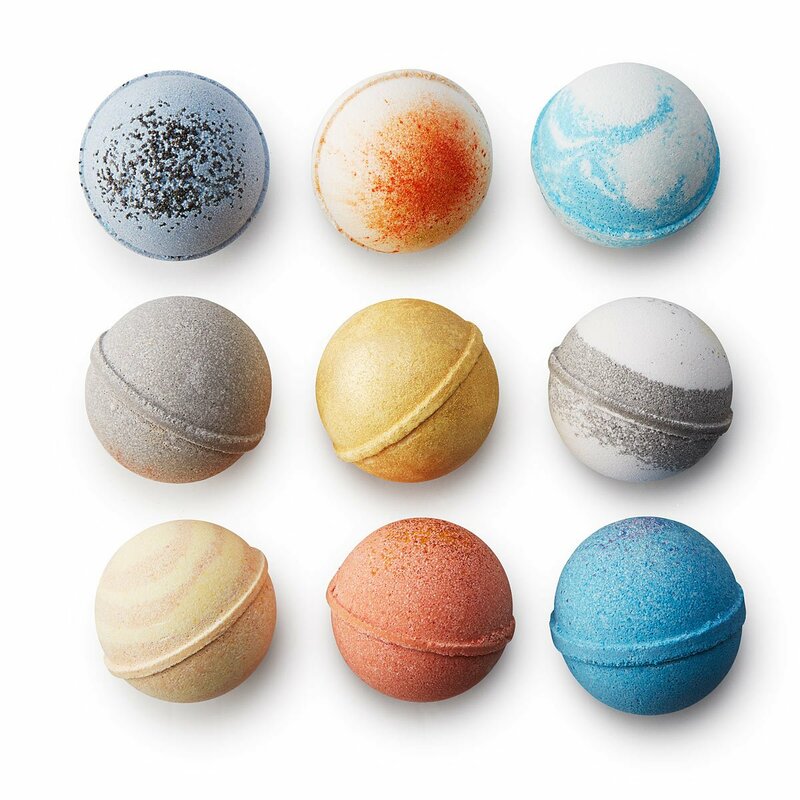 This set includes a luxurious bath bomb for all eight planets, plus the sun. 7. 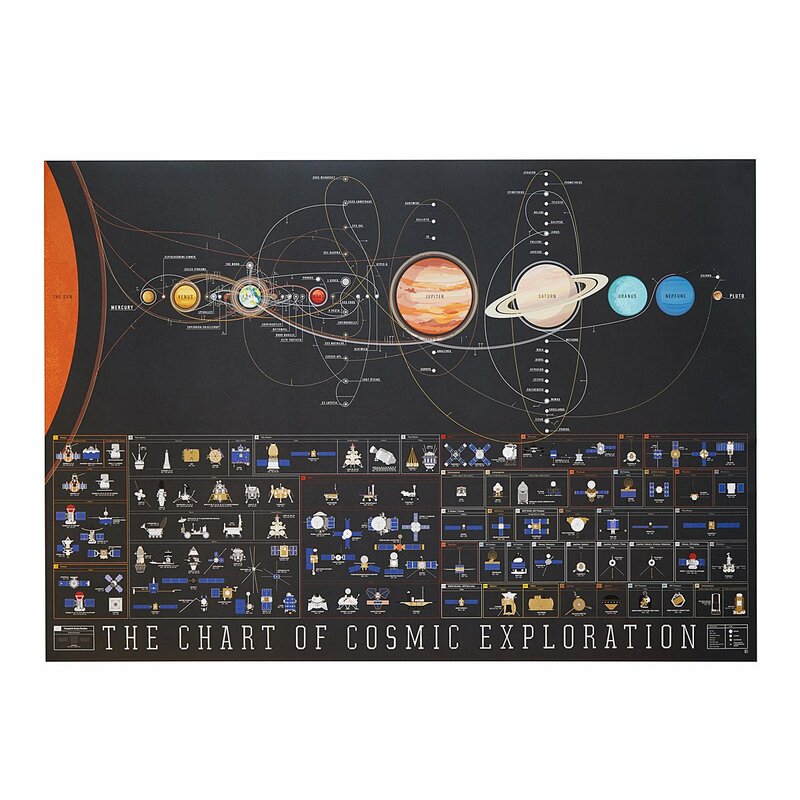 This all-encompassing chart of otherworldly discoveries. Starting with the 1959 Luna 2 and ending with the 2015 DISCOVR, this chart tracks over 100 pieces of exploratory hardware throughout history. 8. A mug that’ll bring grumpy wake-ups to extinction. 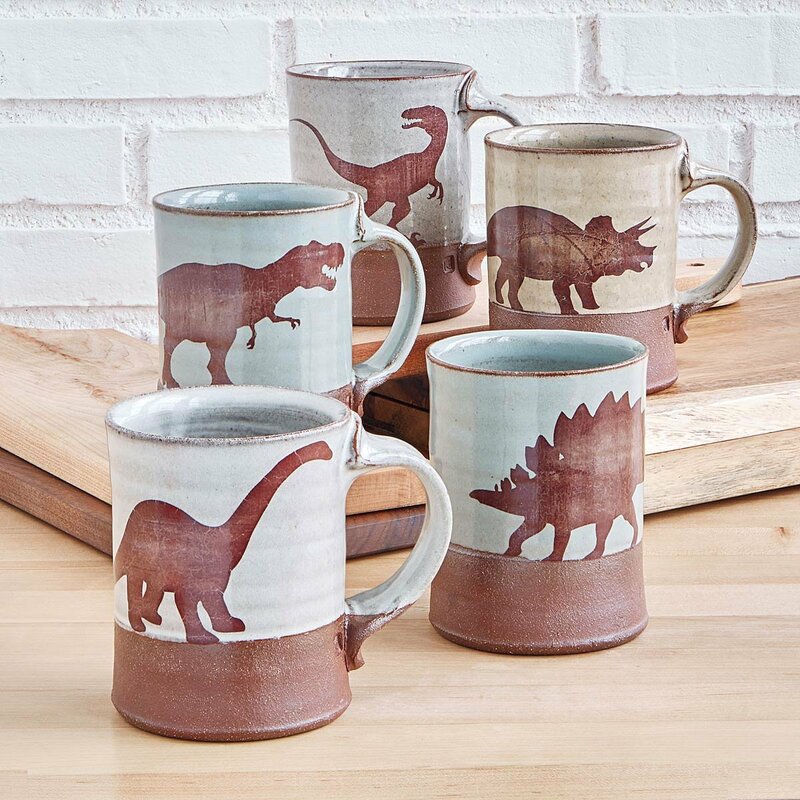 Care for a spot of tea-rex? 9. 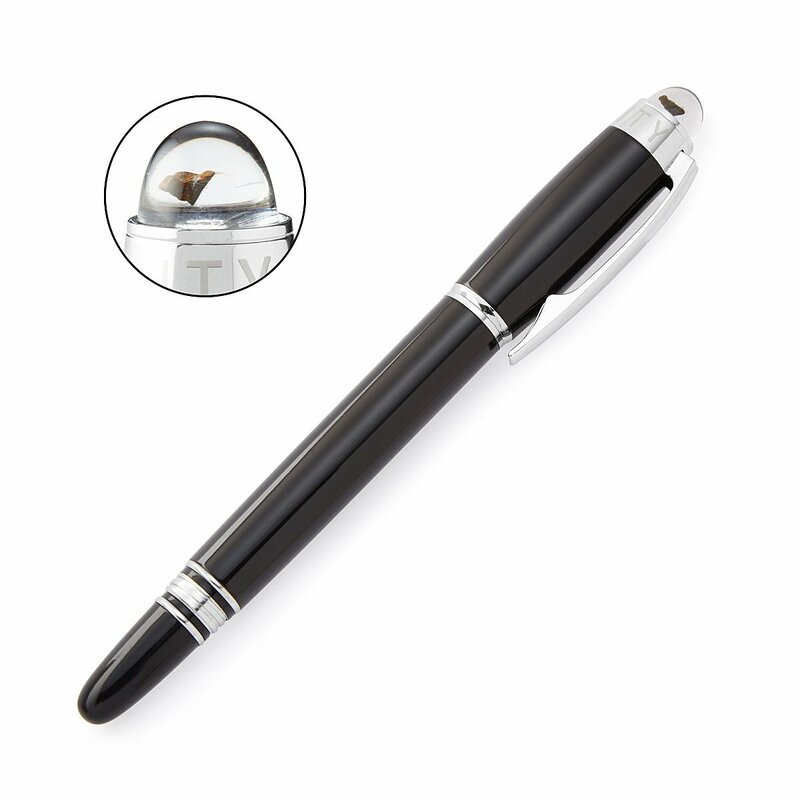 A pen that lets you hold the universe (well, a piece of it) in your hand. Yep, that’s a real meteorite fragment in the cap—the Chelyabinsk meteorite, to be exact. 10. 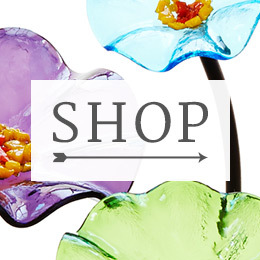 Brainteasers that’ll look smart on a bookshelf. 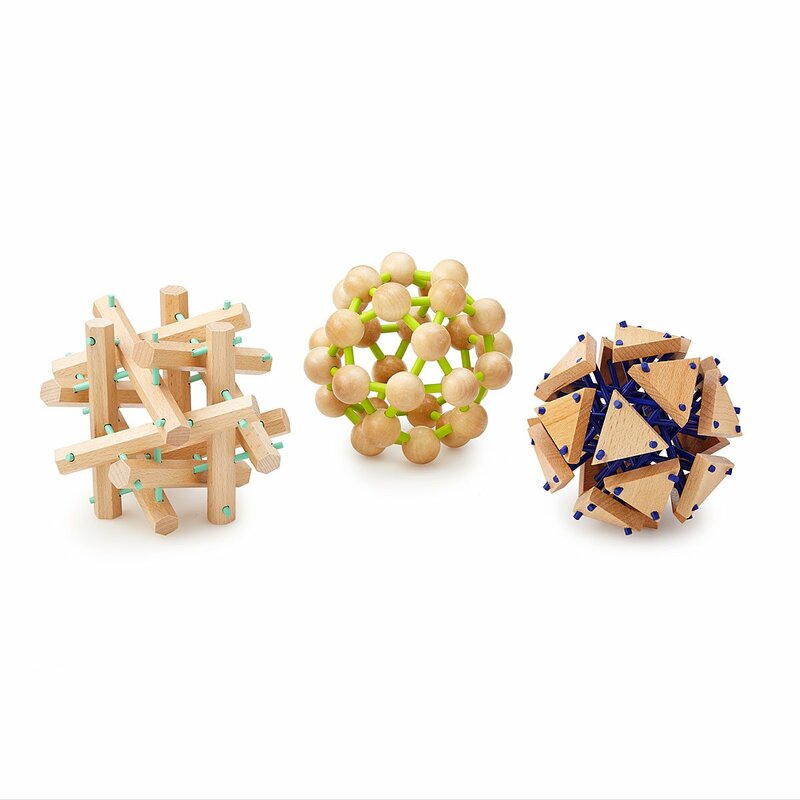 Inspired by the cosmos and crafted from locust wood, these tactile puzzles are equal parts brains and beauty. 11. 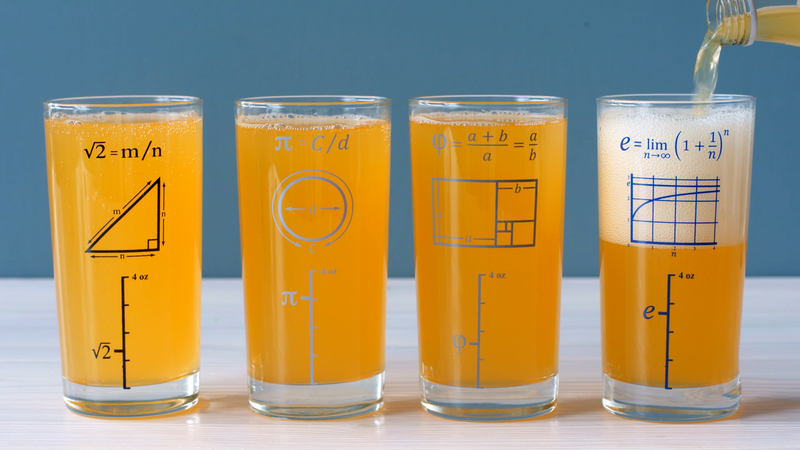 A set of glasses that celebrates the wonder of math. 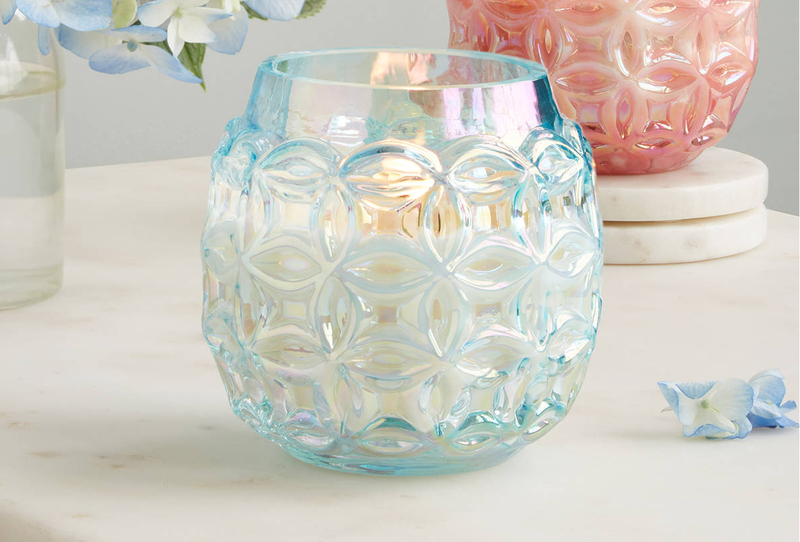 According to our calculations, everyone at the party will geek out over these. 12. An old-school invention that spins when light hits it. 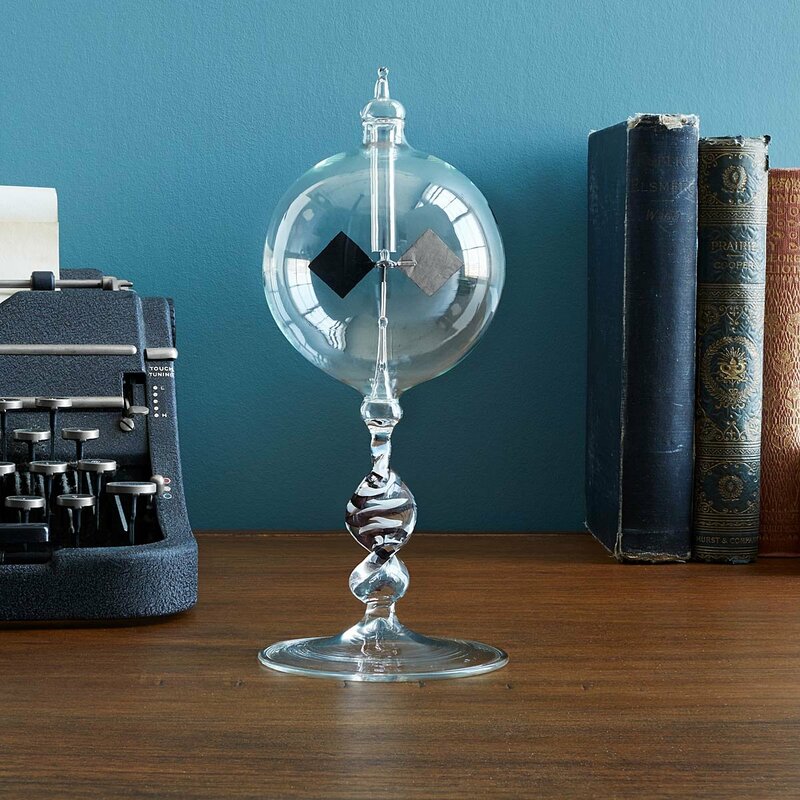 Modeled after the 1873 radiometer, this hand-blown piece should sit on the desk of every science-lover. 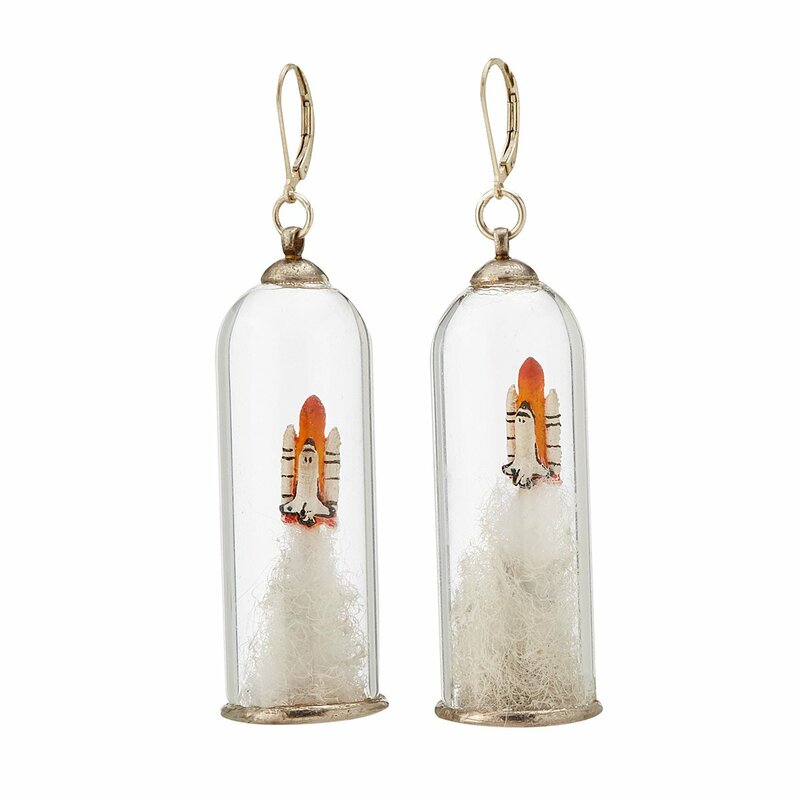 No detail is spared in this hyper-realistic space shuttle pair. 14. 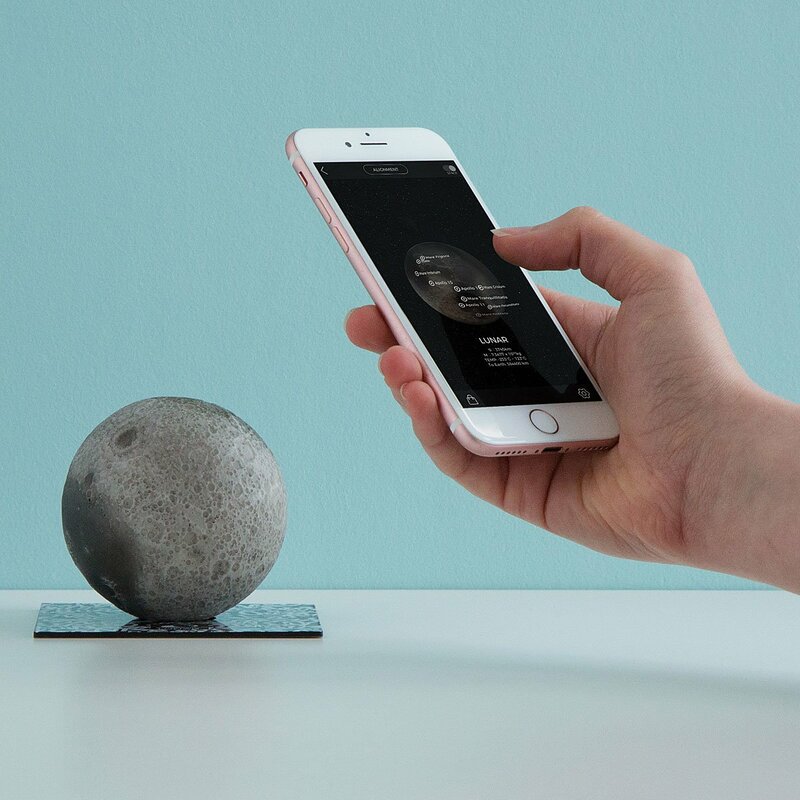 An interactive sculpture that leads to endless lunar adventures. 3D printed and handpainted according to years of NASA data, this model is made to represent all the moon’s nooks and crannies. Bonus: It corresponds to an app with tons of extra information. 15. 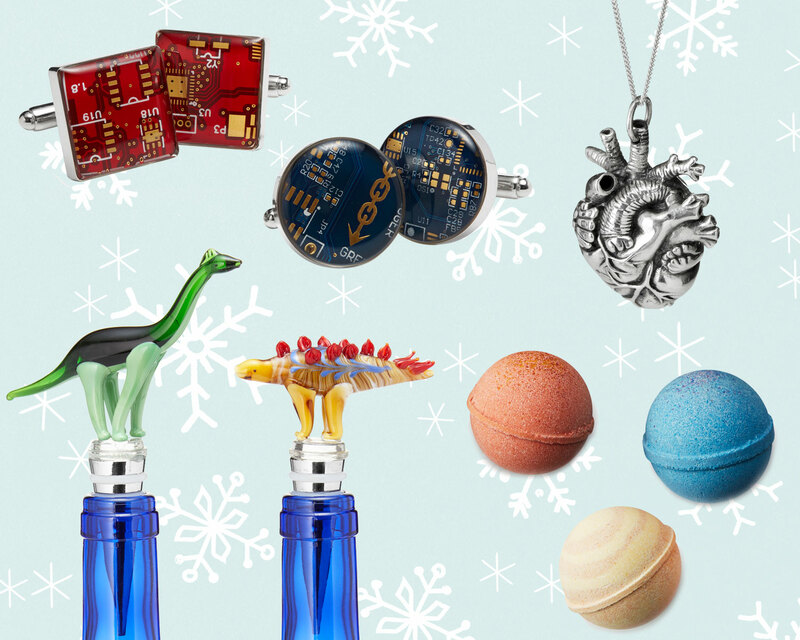 Electric additions to any dressed-up look. 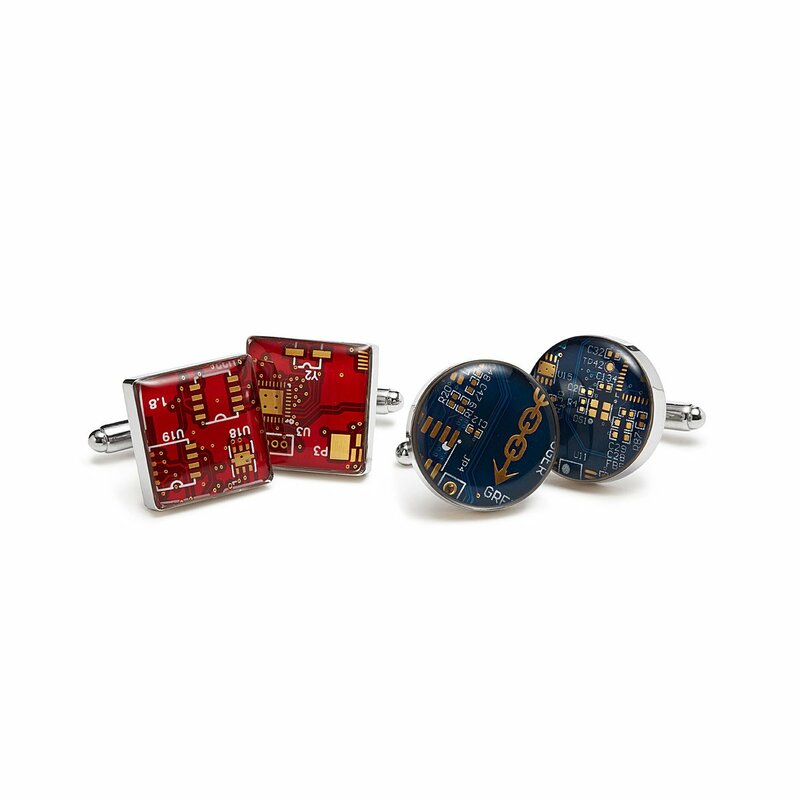 These reclaimed circuit boards are now making a more sartorial connection—they’re coated in resin to form geek-chic cufflinks.